Stine Bidstrup is about to send off her pieces to New York when I meet her in her studio in Copenhagen. 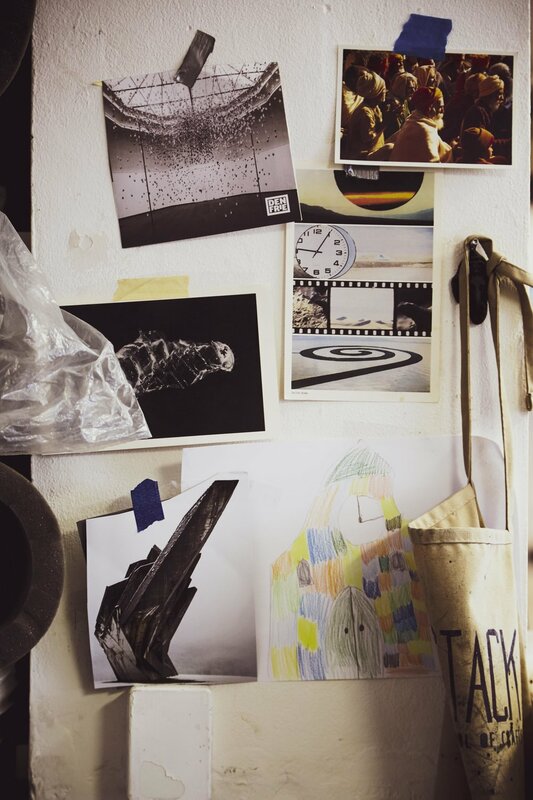 A studio she shares with five other glass artists, where my pre-imagined lofty studio dream is not fulfilled. The studio on Islands Brygge is rather a nerdy, densely stacked space with a creative chaos of visionary ideas, concrete glass objects, models, and tools, and a sense of concentrated and focused hands-on energy. Not long into the interview with Stine Bidstrup you get the sense that she has a mild yet focused hands-on energy herself, and handle her work as serious business - with an equal emphasis on the latter two words. 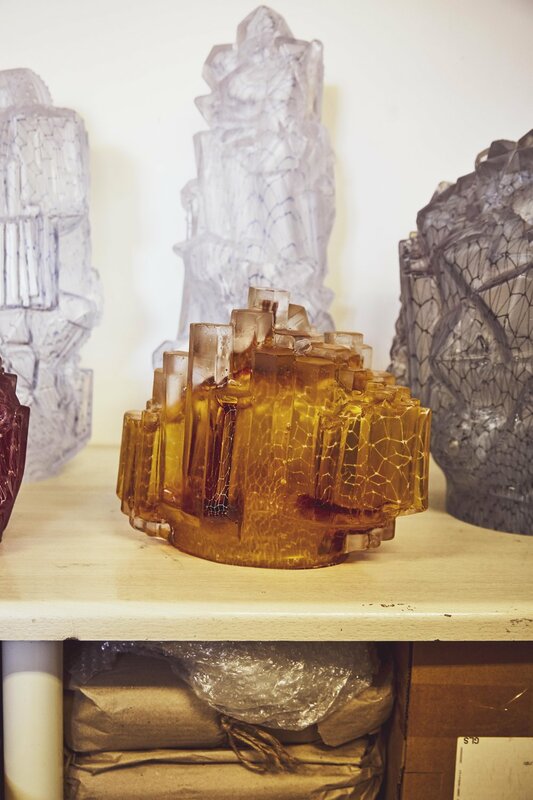 'Architectural Glass Fantasies' is Stine Bidstrup's first solo show in New York at the esteemed Heller Gallery, who are known for their extensive range of international glass artists, comprehensive collectors archive and an experienced eye for emerging as well as long-standing talent. "It is quite easy to get used to", Stine smiles - thus referring to the professional gallery owners and staff working with you as an artist and the established set-up stemming from Heller Gallery's 40 years in the business. Stine Bidstrup is educated from The Danish School of Design on Bornholm and continued her studies at the Rhode Island School of Design (RISD) in the US. She has since then divided her time between the two countries with various artist residencies, a teaching position at the University of Wisconsin-Madison and continues to go back to teach summer classes around the US. The years in the States have established a deep connection with the American glass tradition and the country itself, and she tries to sample the best of both worlds in her work. The Danish glass artist takes a different approach to her work than most of her colleagues. Her method is a combination of engineering, glass technique, modelling, utopian ideas, and a lot of patience. Each piece is produced over a period of several weeks - the result made out of at least six steps in the process. 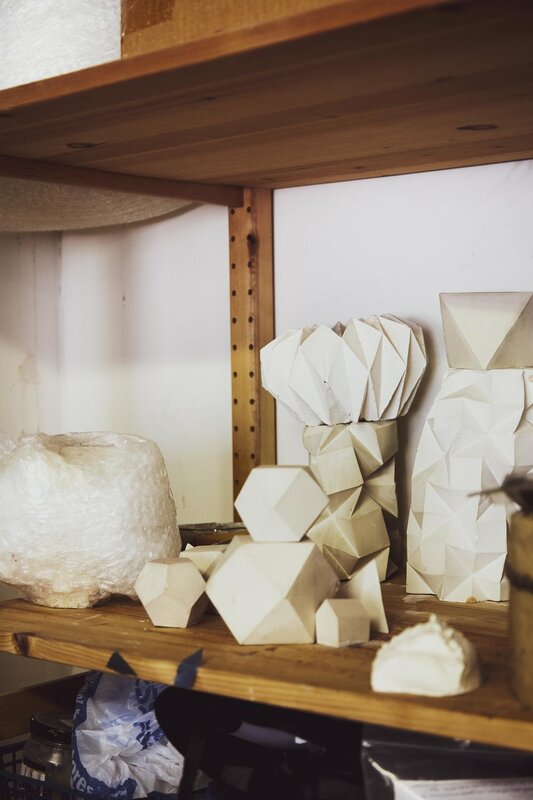 She starts out by drawing her ideas and transforming them into folded paper models that she then translates into cast plaster forms. From here Stine creates rubber moulds to cast many small individual wax elements that are then joined to create the final form of her piece. She builds a plaster mould around the wax to make the imprint that the glass takes its particular shape from. At the final step, the blowing of the glass into the moulds, there is only one shot at making it right, as the mould needs to be destroyed to get the final glass sculpture out. One particular mould to make your piece from otherwise you’ll have to start all over again. This crucial point in the process requires three glassblowers to carry out just as the temperatures of the glass and the mould need to be exactly right to succeed. This is no game. 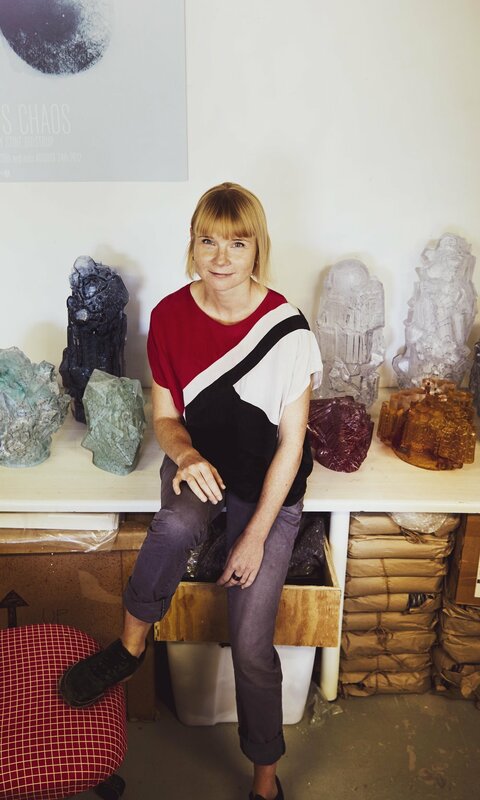 The long and winding road to Stine Bidstrup's architectural glass works is made of skill, competence and a massive amount of focused patience. You would think it takes a huge person to actually make the piece, but Stine Bidstrup's tiny, but elegant and slim figure manages to blow about 3-10 kilos of glass on the pipe. Empowerment!